Guess Who’s Coming to WuW 2012? 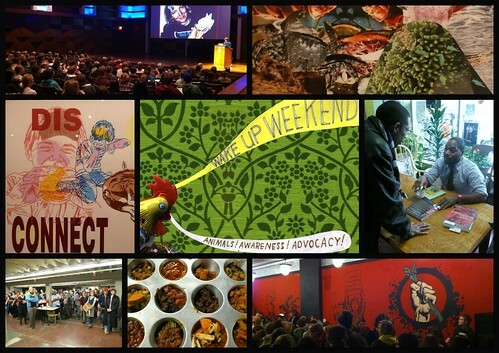 The 2012 Wake Up Weekend Vegan Chili Cook-off is just a month away! And what better time to heighten the anticipation than to give you a taste of what’s in store for the biggest Wake Up Weekend ever! What do I mean by big? Allow me to explain. 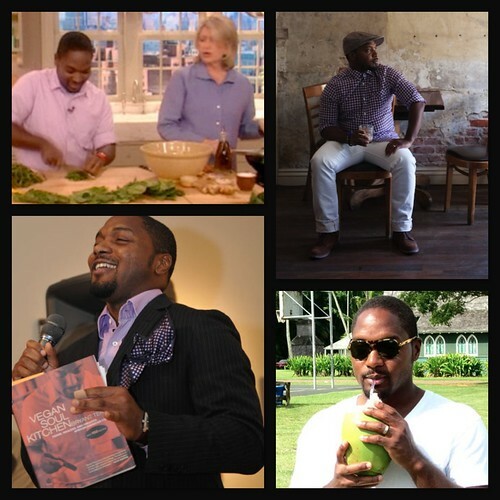 Whether he’s urban farming in his home city of Oakland, articulating a new politics of food activism, or dishing up greens with Martha Stewart, Bryant Terry is all about re-envisioning cooking as a powerful tool for exposing interconnected forms of human and animal oppression, and inspiring our liberation into more redemptive ways of eating and of being together around the table, around the neighborhood, and around the world. In this, his second Wake Up Weekend appearance, Bryant will bestow upon us the honor of pre-releasing his brand new book, The Inspired Vegan, due out for the rest of the world on January 24. Meet Bryant and get your signed copy hot off the press at a reception following the address that will also feature catered appetizers from the book. When I was 15, I was mostly chewing gum, lifting weights, and listening to hair metal. 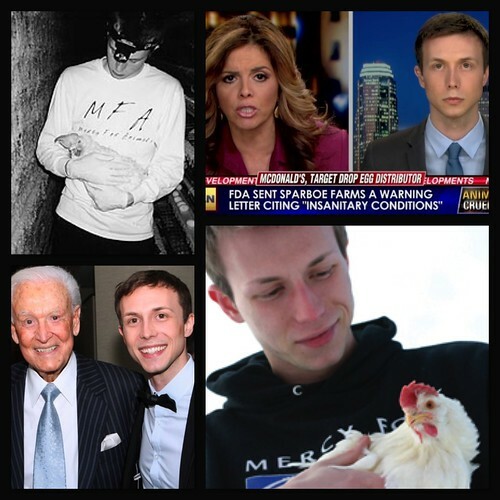 When Nathan Runkle was 15, he founded Mercy For Animals, thereby laying the groundwork for what has become, a decade later, the premiere boots-on-the-ground animal advocacy organization in America. When it comes to exposing the injustices that animals undergo in modern food systems, Mercy For Animals is in a league of its own. Heard about that Norco Ranch investigation that helped to seal a landslide victory for Proposition 2 in California? MFA. How about the investigation of Sparbo Farms that recently resulted in McDonald’s and Target dropping their main egg suppliers? Also MFA. 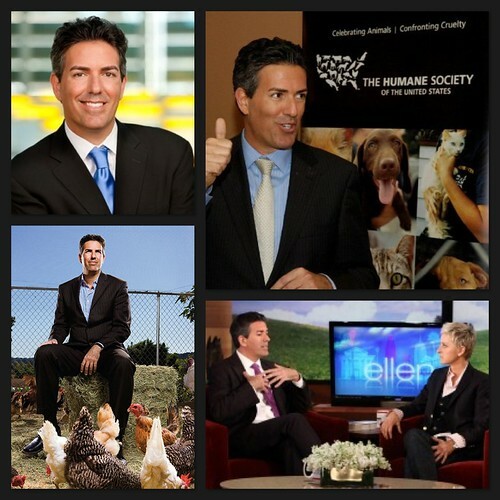 When he’s not appearing on CNN, Nathan and his organization are behind the scenes investigating cruelty and mobilizing the resulting footage into award-winning documentary films such as Fowl Play and Farm to Fridge that are changing the way the next generation thinks about, buys, and eats food. And of course, we’ll set off all of the above with the usual array of Wake Up Weekend fineries: a vegan potluck on Friday night, a vegan brunch on Saturday morning, an amazing art exhibition (titled KINSHIP curated by Brett Colley and featuring work by Adam Wolpa) and the VEGAN CHILI COOK-OFF on Saturday evening, and benefit show on Saturday night! Stay tuned for the official poster and schedule detailing the whole nine yards COMING SOON! As ever, all of these terrific community events–with the exception of the Saturday brunch ($12)–are free and open to the public! See you at Wake Up Weekend 2012!